This is a realistic fiction book set in Warsaw during the second world war. The story is told by Hanna a Jewish girl. The author Goldie Alexander has written may books in this genre and one of the most popular is the My Australian Story – Surviving Sydney Cove. Hanna’s story ends as she and her brother join the Jewish Combat Organisation before the end of the war but after the deaths of both parents and their younger sister. The story is an account of one family’s decent into poverty and deprivation because of Hitler’s anti semetic policies. There are historical notes and a glossary at the end of the story. 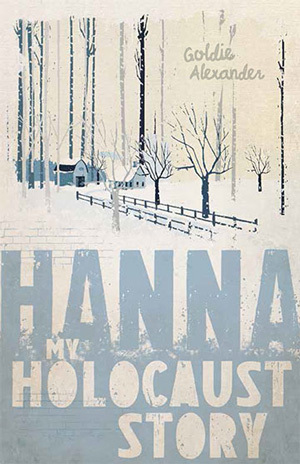 This is the first title in the series which marks the 70th anniversary of the liberation of Aushwitz. If this period is of interest you should also look at The Silver Sword by Ian Serraillier and I am David by Anne Holm.